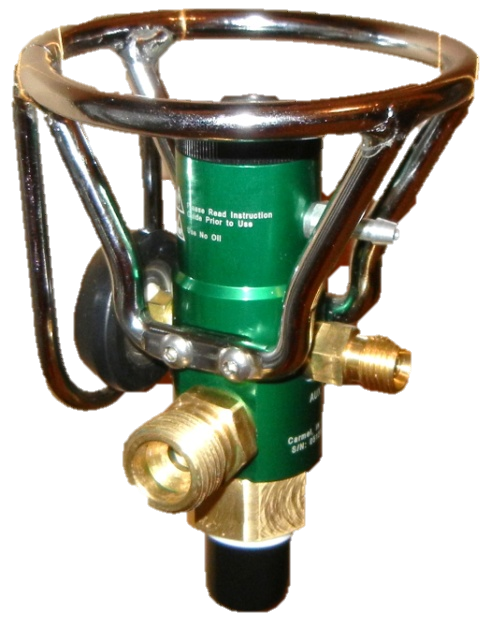 Oxygen Fill Fitting is compatible with Airgas Fill Stations (soft nose style). Regulator is available in a variety of flow selections ranging from Pediatric 1/32 LPM to High Volume 25+ LPM. Unit has passed ASTM-G175 ignition sensitivity testing for Oxygen Regulators by an independent lab. Custom Laser Etching of Company LOGO available that helps to distinguish your product among others, and advertise your company name at the same time. A one-time artwork set-up fee is applicable for any new LOGO. Compact Body, measuring 4.75” High from the Cylinder Neck, is one of the lightest units on the market at 1.80 pounds, adding to its portability and comfort in use. 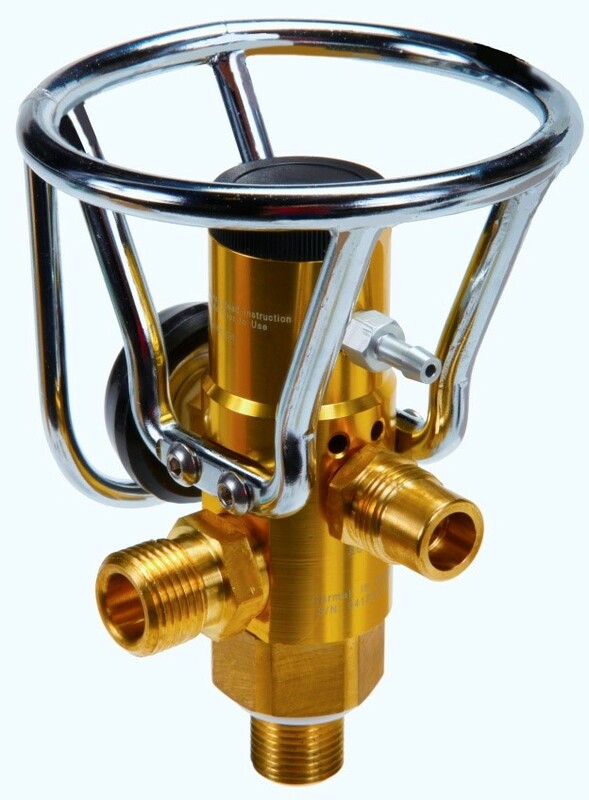 Regulator Body and Thermoplastic Handle available in a variety of Colors or Nickel Chrome Plated.